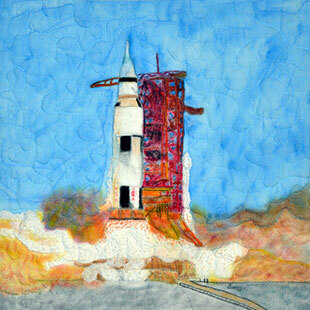 The Dream Rocket, an art project, has proposed wrapping in a student-created quilt the real Saturn V rocket inside the Davidson Center for Space Exploration, rather than the replica outside. — An ambitious art project to wrap one of NASA's remaining moon rockets in a student-created quilt has traded height for history by proposing to swap Saturn Vs. 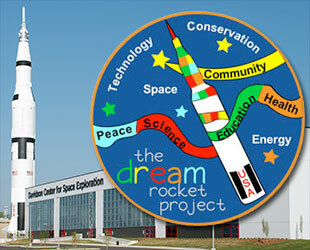 The Dream Rocket, a four-year-old educational effort run by the not-for-profit International Fiber Collaborative (IFC), initially aimed to completely cover the 363-foot-tall (110.6 meter) rocket — a replica of the booster that launched the Apollo crews to the moon in the 1960s and '70s — at the U.S. Space & Rocket Center in Huntsville, Alabama. 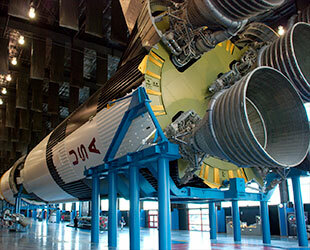 Now, they've changed their focus, sideways, looking to wrap the real rocket that is displayed on its side nearby. 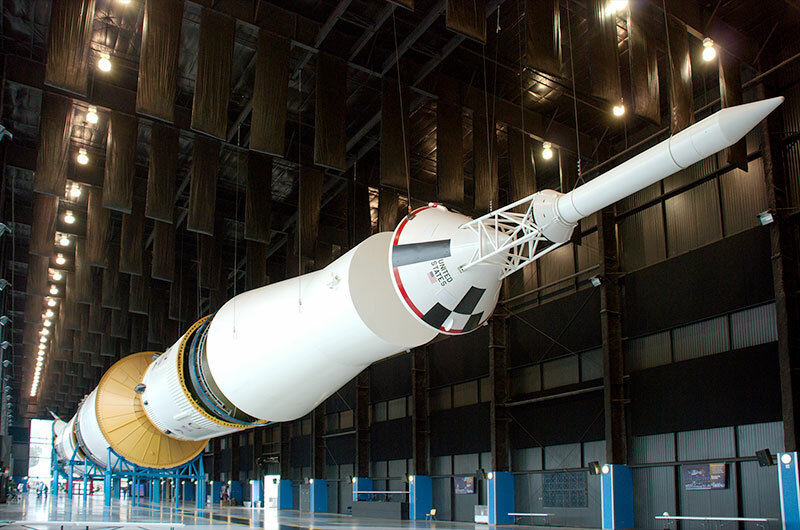 "I continued getting letters from participants asking, 'Yes, we've permission to wrap the vertical rocket at the Space & Rocket Center, and that is wonderful, but why can't we wrap our artwork around the horizontal Saturn V?'" 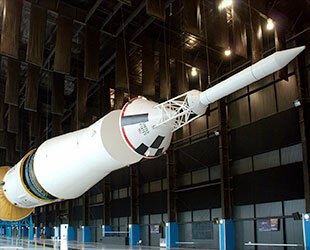 said Jennifer March, director of the Dream Rocket, in a video for the project's crowd-funding campaign to raise the funds needed for a new engineering study. 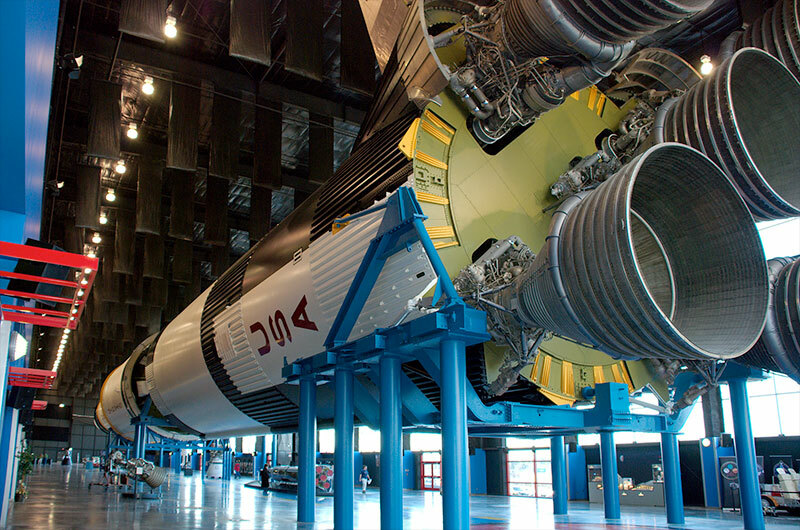 "[NASA's Saturn V] is an example of the power of people working together to achieve great things and to move our communities forward," March said. "In doing so, it has connected subjects like freedom, equality and community, all types of subjects – space, of course – to give students an access [point] into these subjects." 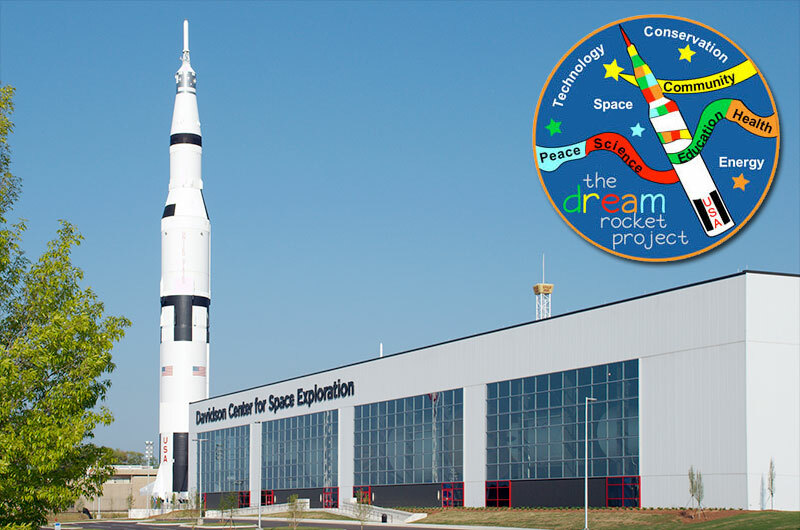 The Dream Rocket project has recruited a senior engineer from the Topeka, Kanas-based engineering firm of Bartlett & West to mentor students at nearby Washburn University while designing the exhibit's support structure. 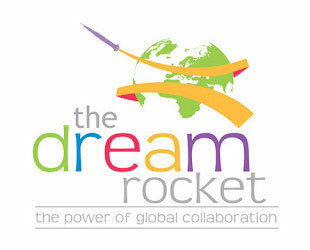 For more information, visit The Dream Rocket's website or the project's Kickstarter campaign.